The former Rocky Point Amusement Park is one of the most iconic properties in all of Rhode Island. 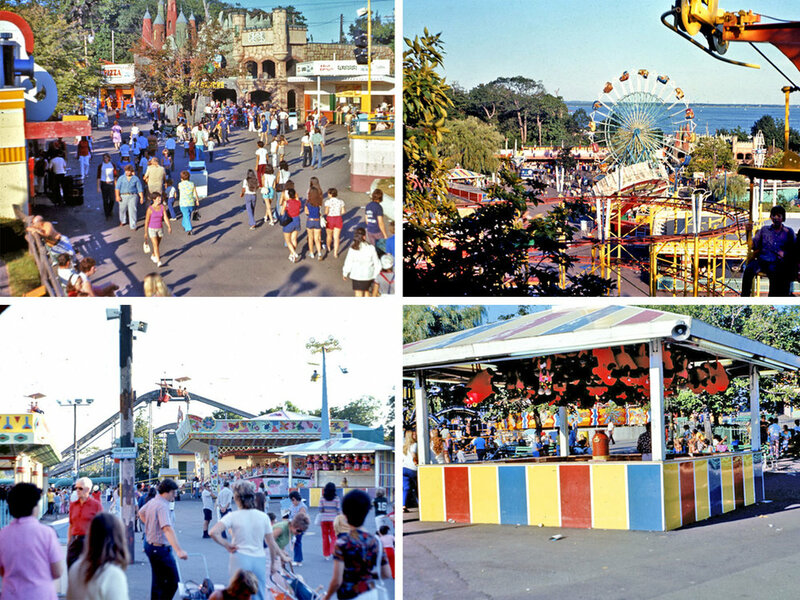 Located along Warwick Neck and overlooking Narragansett Bay, the 124 acre property had been home to Rhode Island’s largest and most famous amusement park since the mid nineteenth century, until bankruptcy forced the parks’ closure in the mid 1990’s. Since its closure, several scenarios for its redevelopment have been proposed, but the property still remains vacant today. The Rhode Island Department of Environmental Management (RIDEM), in conjunction with the City of Warwick, has retained WDADG to develop a Master Plan to contemplate the development of a new, state of the art state park at the property that will set a new standard for sustainable design and will become the jewel of the state park system. WDADG’s approach to the planning of the park is uncomplicated in its execution, but when developed will create a rich tapestry of interwoven principles and processes that will create an open space system unlike any other in Rhode Island. Our plan proposes to combine many of the remaining artifacts of the former amusement park with three critical elements of sustainability: ecological sustainability, environmental sustainability, and economic sustainability. Adhering to these sustainability principles, the programmatic elements of the park were developed with a deep appreciation of the existing environmental and ecological conditions of the site. A detailed study of other properties in the existing state park system helped in the development of specific program requirements. Extensive GIS-based research was then conducted to identify areas best suited for particular program requirements. Furthermore, many of the program elements proposed for the park have precedence on the property, including the proposed adaptive reuse | restoration of the famous Rocky Point Shore Dinner Hall into a hotel | restaurant | museum | arcade. Finally, the location and identification of specific cultural artifacts from the former amusement park, some of which date to the late-nineteenth century, have been incorporated into the plan so that the story of Rocky Point can continue to be told and enjoyed by future generations of Rhode Islanders. Specifically, the Master Plan first and foremost reclaims the waterfront for the people of Rhode Island. 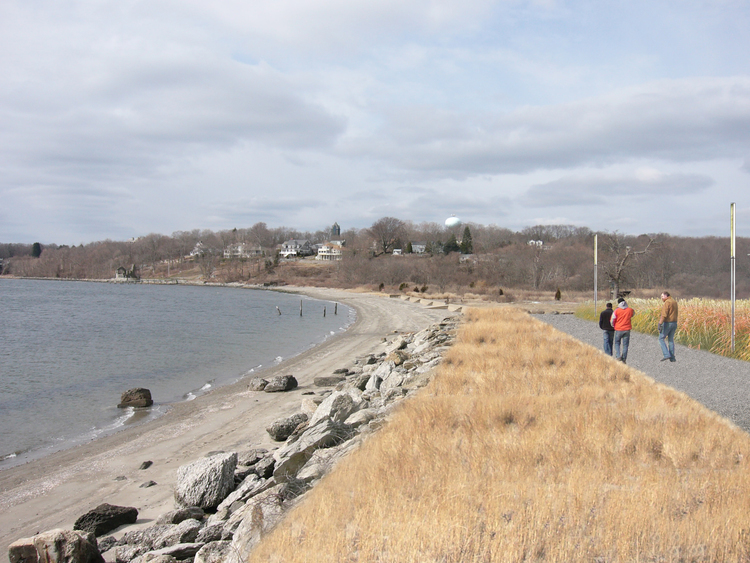 The nearly one mile of shoreline that accompanies the property is proposed to be fully accessible to pedestrians, just as it was always meant to be. The main design element centers on pedestrian circulation, and creating connections and relationships to education, observation, and memory. 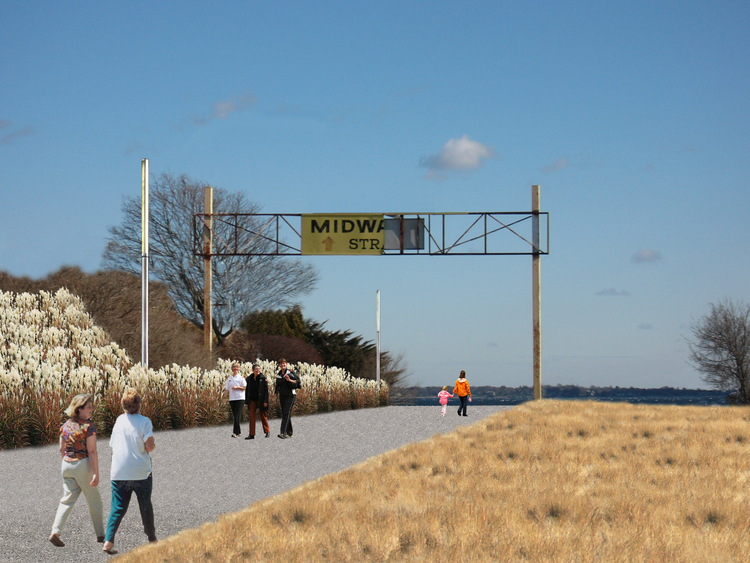 As a means of linking the historic, cultural, scenic, natural and recreational characteristics of the site, a grand pedestrian walk (“The Loop”) that connects various elements of the Master Plan has been proposed that creates a timeline of the history of the site, celebrates its cultural significance to the Rhode Island community, and exposes the rich hidden legacy of the site. The strategy creates a modern-day destination experience populated by re-imagined spaces for social interaction, experience, and education. A critical element of the plan centers on reminding the public that the property was, and continues to be, far more than just the Midway. As such, “The Loop” concept recalls the natural and man-made history of the site along the path through a series of custom created interpretive signs, the design of which will be inspired by the history, the rides, and the buildings of the former amusement park. The markers are designed to give a common identity to the whole of the walk, while allowing for articulation of various moments in time that are uncovered and explained along it. As terrain and walkway materials change- from Boardwalk to Promenade, “Cliff Walk” to Beach, Lawn Path to Ledge Outcrop- the story and timeline of the site evolves. These “Moment Markers” form a thematic system that begins- and ends- at the iconic entrance arch- a significant remnant of the former amusement park- telling the complete history of the property, from its glacial formations to its future use as Rhode Islands’ premier state park. Along the entirety of “The Loop”, smaller intersecting paths bisect the site and lead to various spaces and elements. The variety of distances created by these trails significantly increases the exercise value of the path system. The spaces include areas such as “The Great Lawn” passive recreation area to the north, a terraced lawn picnic area to the south that overlooks Narragansett Bay towards the Newport, Jamestown and Mount Hope bridges, and “The Midway” in the heart of the park, which includes an interpretive journey through the former amusement park midway, complete with many of the ride foundations that still remain. 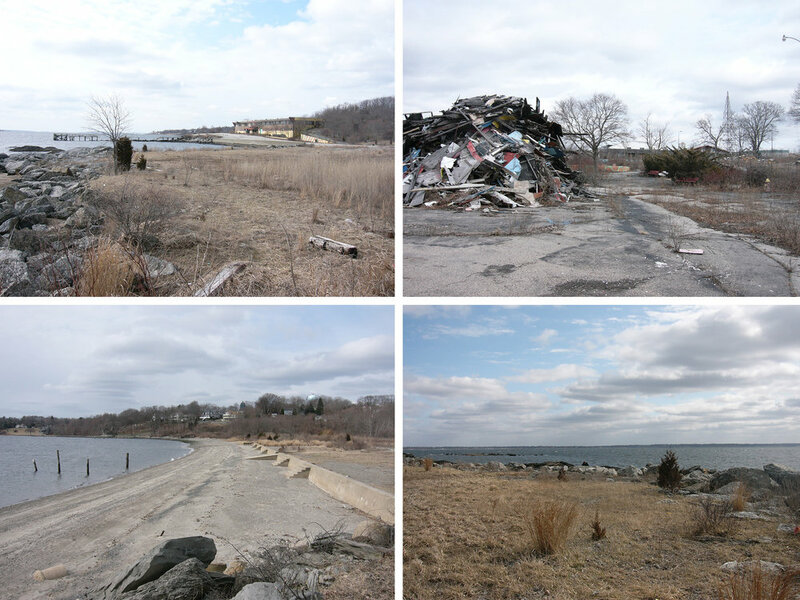 Many of the other program elements proposed for the park have precedence on the property, including the proposed adaptive reuse | restoration of the famous Rocky Point Shore Dining Hall into a small hotel | restaurant | museum | arcade. Combining all of these various program elements with the ecological, environmental and educational resources developed within the site results in a destination park unlike any other in Rhode Island, and- most importantly- allows future generations to enjoy this iconic property in a whole new way, making Rocky Point State Park Rhode Islands’ ultimate renewable resource.